Align company strategy and project execution across multiple portfolios. Only Triskell combines real strategy management framework with exceptional Project Portfolio Management. A real performance tracking; reconcile strategic goals with project execution. Triskell provides all the visual tools to articulate, formalize, and share your strategic plans. Breaking down strategies into objectives goals, sub-goals and KPI’s has never been so easy before. Use balanced scorecards, master plans as well as kanbans to get your strategy plan under control and get rid of unproductive spreadsheets. Triskell’s extreme flexibility allows you to define, plan and track your goals and metrics to capture strategy output. Everyone in the company – from executive management to the blue-collar worker − is involved in strategy execution. Each individual contributes to the organization’s overall performance. 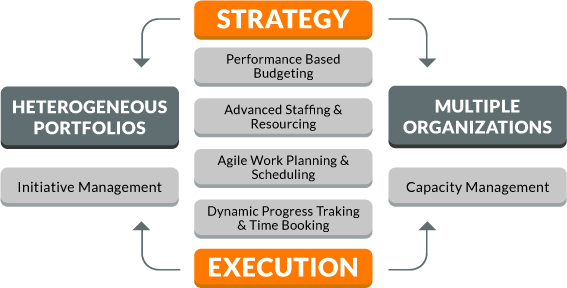 Successful Strategy Execution Management includes both top-down as well as bottom-up processes. Triskell builds a communication channel for strategy execution, which increases engagement and input from stakeholders as they are able to take part in the planning and execution process. 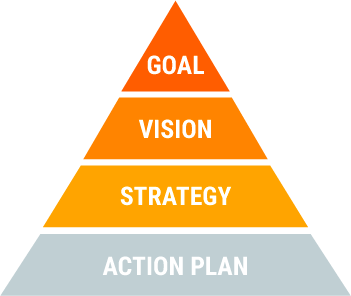 Read more on Strategic Planning and goals definition. Designing and managing programs across departments and focusing on outcomes and business process impact instead of projects as well as operational indicators are the cornerstones of strategy execution. Success is measured by your outputs and results you deliver, not the quantity of work that you do. Triskell allows you to map strategic goals and KPIs with projects, project initiatives, products, assets as well as operations. Accelerate and optimize strategy execution and organize portfolios to track program progress by focusing on the right KPIs, to report progress status at all organization levels. Break any business strategy down into multiple portfolios and organizations. Dynamically prioritize, fund and staff initiatives and actions according to strategic targets, as well as available budgets and resources. 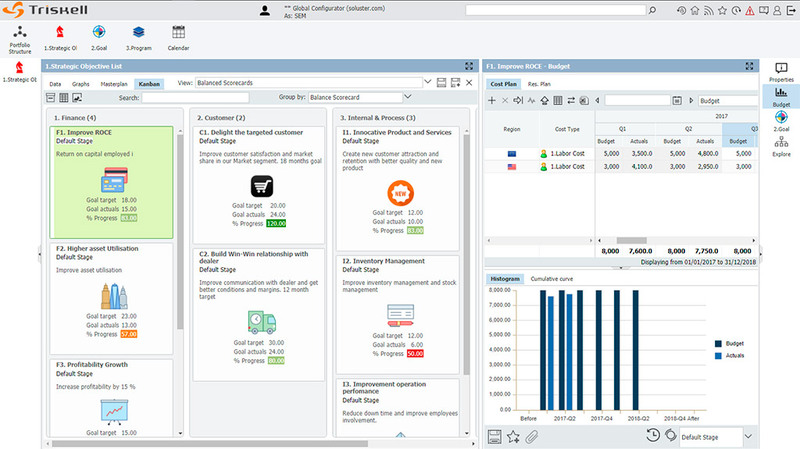 Control execution dynamically and progress on several axes and identify the potential gaps with the original targets. Re-align periodically strategies and executions. Read more about transformation programs. Allocate Resources and Funding to serve your strategy. Finance and Resource Management is the cornerstone of any organization – no matter how big or small it is. Therefore Triskell provides all the necessary tools manage your financial and human resource constraints, thereby ensuring that you can execute and support your strategy. Triskell allows you to budget how much money resources and other means you may assign to a strategic initiatives or goals. Prioritize and plan money and resource engagement in current or future projects, operation costs or anything else related to strategies and metrics. Analyze portfolios for gaps, overlaps and discrepancies to quickly and easily identify redundant work and wasted resources. You know what can be improved to ensure strategic alignment to reach strategic objectives faster and better. 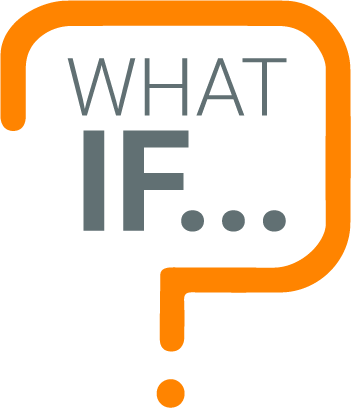 Advanced Simulation and “What if?” features help you to make the right decisions and anticipate any further changes or obstacles. With Triskell Simulation capabilities you can define and evaluate dynamically different scenarios at any time in order to re-evaluate strategic plans, taking care of and anticipating critical changes or decisions. Triskell’s easy-to-use simulation tools allow you to match projects and operations with the corresponding goal for a strategically balanced portfolio with a simple drag and drop function. Triskell provides solutions to manage different Business Portfolios like Strategic Plans, Transformation Programs, Project, Product, M&A. Triskell has been designed to support any kind of portfolios. This allows you to break-down your strategy across all departments and business process, taking count of their specificity. This way you get a 360 view of your strategic goals status and funding and resources usage. In the world of today organizations and challenge change quickly. Triskell allows you to adapt and extend your environment by adding and updating business objects and rules on the flight, with no coding. More information about how Triskell can fit your particular requirements.